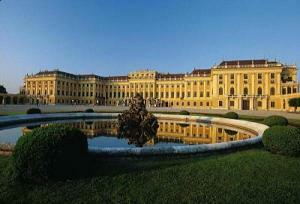 Vienna / Wien is Austria’s national capital city and is also a province. The very name invokes the images of a historically magical grand capital and it is one that will not disappoint. The entire grand city is like an open air museum where a vibrant history and culture are yours to experience. Vienna has witnessed much history. From the conquest and rule of the Romans to the reign of the Babenburgs, and the Habsburgs who defined the city. The city survived the sieges and battles defending the country against the Turks and Napoleon, saw the downfall of the Habsburg Empire and the birth of an Austrian State. Vienna overcame the unrest of the First Republic and the dark days of World War II, endured reconstruction the height of the Cold War, and witnessed the fall of the Iron Curtain, the expansion of the European Union, and has hosted many United Nation and European conferences. 100 B.C saw the early Roman settlements. The city is situated at the meeting point of natural trade routes. The grand capital has served for centuries as a gateway between Western and Eastern Europe, and maintains that gateway. Vienna was the seat of the Holy Roman Empire from 1558 to 1806. From 1806 to 1867 capital of the Austrian and Habsburg Empires,then the Austrian-Hungarian Empire until 1918. Vienna is a city of nobility and vast cultural achievement renown for its architecture and music. Vienna has been honoured with two UNESCO designations: for its historic Altstadt/ city center and the Baroque palace and park of Schoenbrunn. Vienna’s cityscape owes its wealth of opulent buildings and countless cultural treasures to its former role as imperial residence and capital. A unique blend of architectural styles create an enchanting cultural journey through all of the architectural periods/major epochs. From the striking Gothic St .Stephans / Stephensdom to the exquisite Baroque architecture of the Hofburg and monumental architecture of the Ring Strasse- the Parliament, City Hall, churches, National Museums, theaters and Opera houses are all icons of Historicism that characterized late 19 C architecture. Vienna is one of the greatest music capitals of the world, offering concerts, theatrical, and Opera and Operetta performances year round. The Viennese coffee house tradition as well as the heurigen (Wine Tavern) in this magnificent architectural settings give Vienna it unique distinctive flair where the past and present combine in a special harmony! 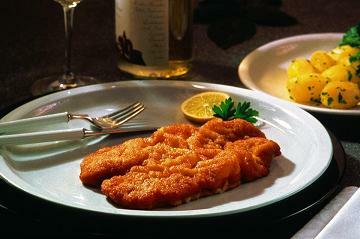 Viennese cuisine Information guide – Wiener Schnitzel – thin breaded beef calf schnitzel offered with potatoes and salad and goes well with a good Austrian Bier. 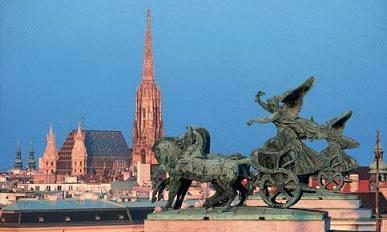 Vienna Trivia Information Guide – Vienna has over 60 museums, is a summit city between East and West. The Cold-War Spy film – ‘The Third Man’ was filmed in Vienna, as was the James Bond Film – ‘Living Daylights’, and the romantic drama - “Before Sunrise”. Please see our Vienna Travel Guide Book - itinerary A 4 , information for the best self-guided tour and self-driving tour , Travel planning made easy available to purchase and download PDF online. Travel guide information for your ultimate self-guided and self-driving tour. Travel planning made easy.